Ullapool is located on the Northwest Highland coastline. The land and scenery around the Highlands are rugged and breathtaking and make for a great touring holiday. The ferry from Ullapool harbour also offers the opportunity to explore Lewis and the Hebrides. Broomfield Holiday Park is set on the banks of Lochbroom in Ullapool looking to the Summer Isles and the Hebrides. We are only 2 minutes’ walk from the village front and there are many bars, restaurants and shops. The 2 large toilet blocks are equipped with; toilets, hot and cold wash basins, shaving points, coin-op showers, hand dryers, chemical waste disposal points, dish washing sinks, water standpipes, a launderette with washing machines and tumble dryers. Power hook-ups throughout the site. There is still a major fishing presence in Ullapool, offering visitors a chance to sample some of the best quality seafood in the UK. The Highlands offer some of the best scenery and a closeness to unspoilt natural resources that is hard to rival. Locations of interest include the Lael Forest walk and garden, Knockan nature trail, Falls of Measachand, Inverewe Tropical Gardens. Local companies offer assistance in organising treks at all levels of ability and desire and mountain bikes can be hired on a daily basis. Local cruise boats sail Lochbroom out to and around the Summer Isles. There is sea and loch angling, sailing, boating and a 9-hole golf course in the village. 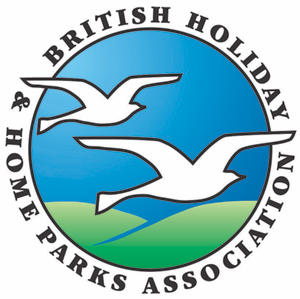 140 licenced pitches for tourers, motorhomes and tents. 108 power hook-ups. Launderette, dish wash, showers, toilets, wash basins. In the village of Ullapool on the sea front, turn second right past harbour.